I’ve gotten a lot of feedback on my Visual Birth Plan post, and I love hearing from my readers! 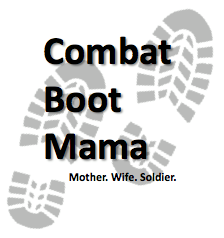 An important part of making your birth plan is being informed of your choices. I am starting a series of posts in which I look into the benefits and risks of different procedures throughout the birthing process that you can include on a Visual Birth Plan. We are going to start the series by learning more about the umbilical cord and what our options are for cord clamping. The umbilical cord has a key role during pregnancy: It carries nutrients and oxygen to the baby from the placenta. It has one vein that carries oxygen and nutrient rich blood from your placenta to your baby, and two arteries that return deoxygenated blood and waste products, like carbon dioxide, from your baby back to the placenta. After birth, two clamps are placed on the cord and it is cut in between them, leaving a small stump that is about 1-2 inches long on what will become the baby’s belly button. 5-15 days later, the stump will dry out, turn dark and fall off. It’s important to keep the area clean and dry while it is healing to prevent infection. According to ACOG, the umbilical cord is usually clamped between 15-30 seconds after the baby is born, but the ideal timing for clamping hasn’t been established so there is a continued debate on what is best. 80 mL of blood transfer occurs by 1 minute after birth, reaching approximately 100 mL at 3 minutes after birth. This means that if the cord is clamped within 15-30 seconds of birth, the newborn is not receiving up to 140mL of blood. In one study, this accounted for a 61% increase in blood volume (2). 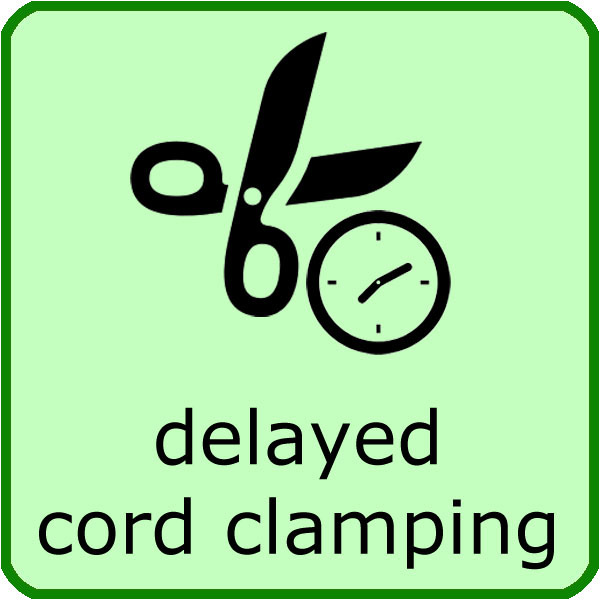 So what are the benefits and risks of delaying cord clamping? It is also important to note that a 2008 Chochran review found that there was no difference was found in early/late clamping in regards to immediate birth outcomes such as Apgar scores, umbilical cord pH, or respiratory distress caused by polycythemia (3). The same review also found that delaying cord clamping did not increase the risk of maternal hemorrhage. There is not an “Early Cord Clamping” icon, as that is the routine time in which they perform this procedure and unless told otherwise, that is when your providers will most likely clamp the cord. Did you have delayed cord clamping as part of your birthing experience? Do you think that it made a positive impact on your baby? I’d love to hear more in the comments!